1Probe Kit: trimming tool, ground lead, rigid tip, IC insulator, BNC adaptor, tip insulator, spring hook, red crocodile clip, 4 mm safety adaptor, safety ground lead, green/yellow crocodile clip. 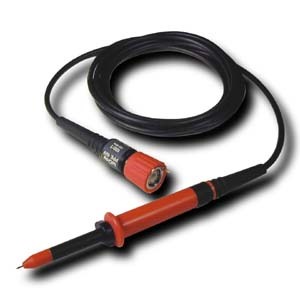 2Probe Kit: trimming tool, ground lead with a crocodile clip. Sondy série PPE jsou slučitelné se všemi osciloskopy LeCroy.